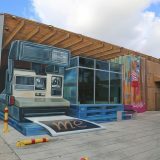 Every year, the Sarasota Chalk Festival attracts artists from all over the world. 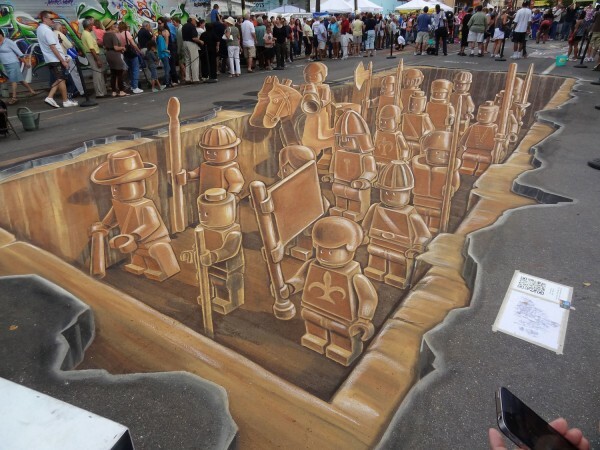 At the 2011 festival, Leon Keer, Ruben Poncia, Remko van Schaik and Peter Westerink created the following anamorphic pavement chalk painting inspired by the Terracotta Army of Qin Shi Huang, the first emperor of China. 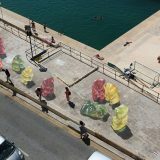 Two videos detailing this street painting and how it was conceived and put together are provided below. If you have never seen one of these works of art in person, you may be surprised at how they are actually created to give the impression of 3D on a flat surface. 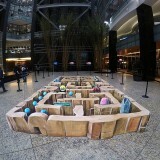 To view more 3D drawings by Leon Keer, visit Street Painting 3D.